If there is one skill that we must all continue to grow and develop it is our communication skills. Communication drives the way we interact with the world and the way the world interacts and perceives us. Many a good person has ended up in conflict, misunderstood or hurt because of miscommunication. It is a skill that we should try to grow until the day we die. I try to read or attend one communication resource each year as a minimum. I appreciate that can be difficult to fit in (though you really should), and to help that we’ve put together a podcast based on the workshop on communication we put together for SMACC in Dublin. Have a listen and read on. The toughest communication skill is LISTENING. The greatest communicators are listeners and observers. Listening is the skill often most forgotten in communication and what most people crave. Nothing makes you feel more important and special than when someone really stops and listens, giving our full attention. Something very difficult to achieve in today’s society of smartphones. Before you have any important conversation with anyone in your life PUT AWAY PHONES AND SCREENS. This will communicate something very powerful in itself, without words. Here are a few of the major tips from the Master Communication Course Dr Steve Philpot and I run at the SMACC pre-conference workshops each year. 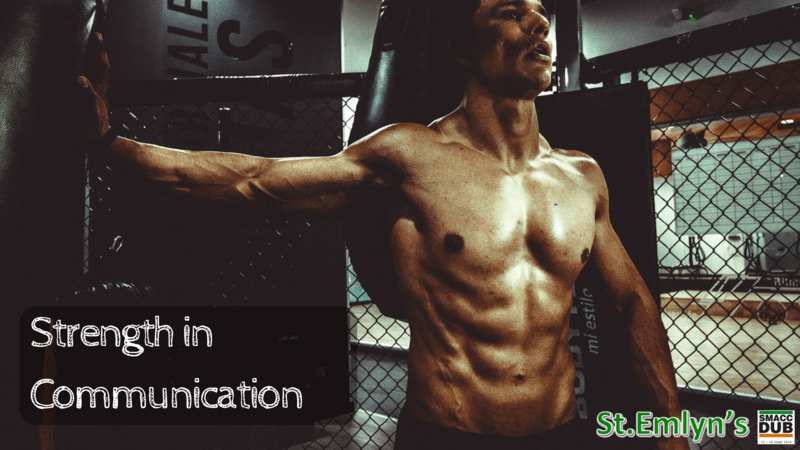 If you want to excel at communication you will need a really painful awareness of yourself, who you are as a communicator, as a listener, and understand the primary reason you communicate. These are really difficult questions to ask and to answer. Others communicate only when they have a message to share or receive, out of necessity, to get a task done or to avoid loneliness. Do you know what drives your communication? Do you have any idea how others perceive you as a communicator? Do they find you loud and overbearing? Painfully shy? Thoughtful? Dominating? Opinionated? Facilitative? A combination of all of the above? If you can answer these questions for yourself it may reveal what your strengths and weaknesses are as a communicator and what you need to work on. As an extrovert I need to work on silence, allowing others the time and space to speak and offer suggestions, stop with ideas and work on finishing tasks, speak softly. I need to utilise my communication strengths and build on my many weaknesses. If you are unsure of how you communicate ask a loved one or trusted friend. You may be surprised how others experience you! There are two major ways to use signposting in communication. The first is to continually return to a point so that people are clear where the conversation is headed and that it remains on the same point. Using the metaphor of a map, signposting continually redirects and guides people as to where the conversation is going and what is important. In a family meeting where you are concerned for the wellbeing of a patient your signpost phrase may be “I am really worried about your father”. The second value of signposting in your communication is that it allows for smooth openings, transitions and closings. When we use the word ‘but’ we essentially dismiss or diminish everything we said previously. The human brain naturally orders and prioritises things all of the time. In communication the brain naturally orders and ranks messages according to urgency. The first item in a list is initially distinguished from previous activities as important (primacy effect) and is usually transferred to the long-term memory where it is ready to be accessed and recalled. The same is true for communication. The first message remains the most important one, and the filter for which all other communication is received. If your first message – spoken word, body language and/or facial expression is serious, the receiver of the communication braces themselves for serious news, filters all of that news through a serious lens. Items at the end of the list are also usually remembered because they remain in the short term memory (recency effect) ready for recall. This is also true of communication. People who start difficult conversations with a beaming smile, a free coffee, small chat, set the tone that this is not a serious conversation and not something the person should worry about. This is the filter through which they will receive the information. People find it easier to receive, digest information and to have the courage and space to respond and ask questions if information is received in small chunks surrounded by short pauses of silence. Frequently doctors talk at their patients and junior staff giving a subliminal message that questions are not welcome or tolerated the goal is to listen and be quiet. Breaking information into small chunks with small pauses invites a conversation, invites reflection and allows emotional response and reaction. If people feel respected, heard and understood, important communication actually works because rather than talking at someone conversation becomes a message out, message heard, message received and message responded. When you are ‘attuned’ in communication you have a better understanding of what the other person needs or wants. Attunement provides a sense of connection and understanding. Creating a connection with someone you are communicating with does not take prolonged time, it takes an energy and commitment to be present even if it is only for a few moments. Connection and attunement provide a safety net between you and others. If you are not sure how to attune or communicate with someone because they are angry, a different gender, culture or age – ASK THEM!!! When someone refuses to hear a challenging diagnosis or poor prognosis, this is part of their coping strategy. Denial can be a strong protective factor in allowing people to keep functioning. We should never have a goal to ‘break someone’. If you have ever really been desperate or concerned about a loved one you will know what it is like to pray or wish or long for a miracle. It doesn’t mean that the message has not been received at all. It may simply mean that the information you are presenting is too painful to absorb. We should always want a miracle for our patients or ourselves. Suffering is never pretty. However it does not mean that we have to ignore the science. None of us will ever be perfect communicators. Together we can build on our skills and create a workplace for patient and staff where people feel valued and heard no matter what our communication style. I’d rather offer the free coffee and a smile than keep starting sentences with ‘sorry’. No one is sorry. It’s an escape word.